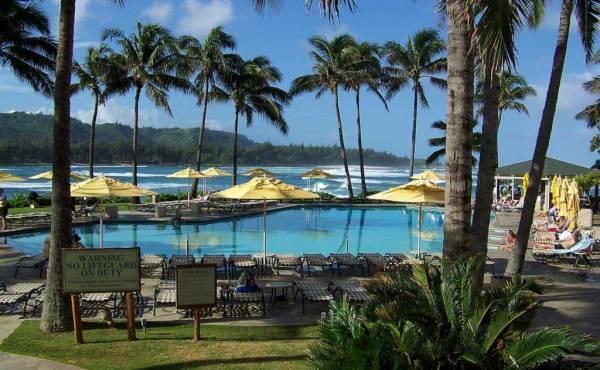 Turtle Bay Resort was the most extravagant and expensive part of our trip to the Hawaiian islands, but well worth it. 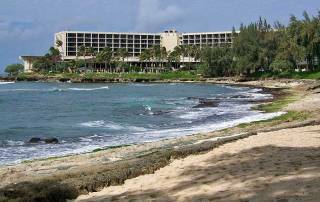 The Turtle Bay Resort setting is on the oceanfront between two bays at the eastern edge of the North Shore, Oahu. 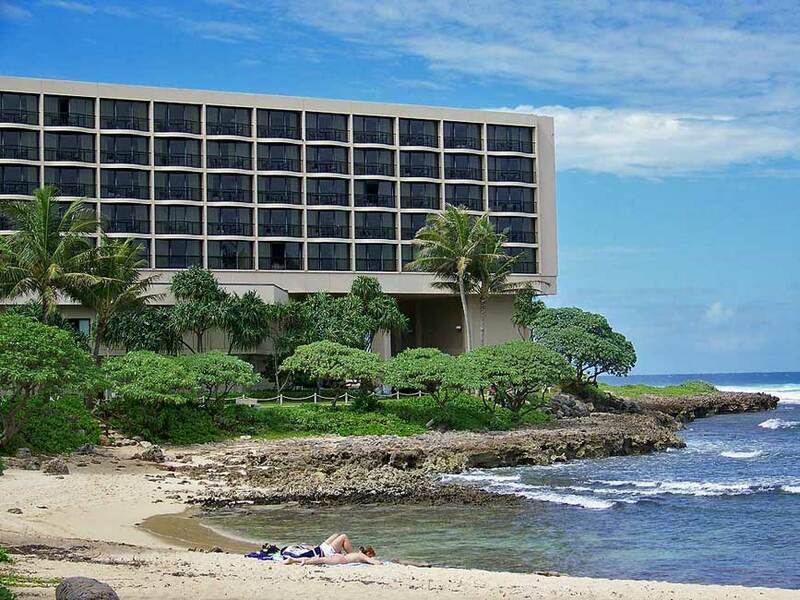 The resort setting has 3 wings. 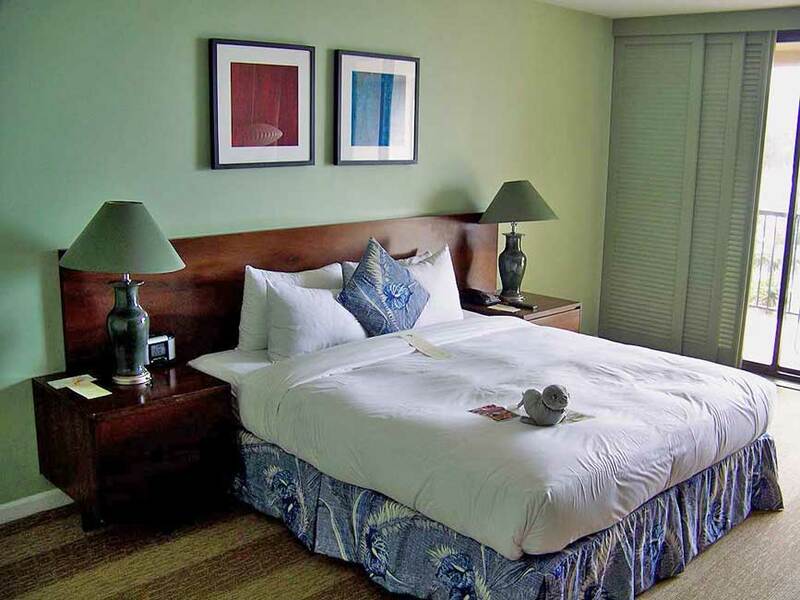 All three wings have ocean views regardless of which side of the wing your room is on, because of the resort’s setting. Our room on the 3rd floor faced west over the pool toward the sunset. 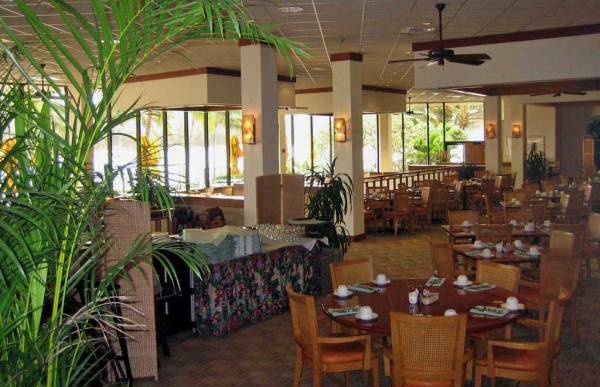 The room was spacious with a large lanai (covered deck) and a large bathroom. 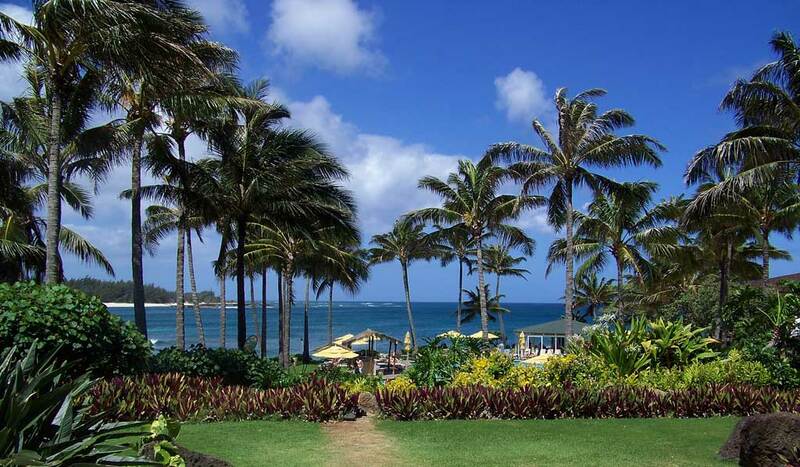 It was very difficult to leave at the end of our visit. 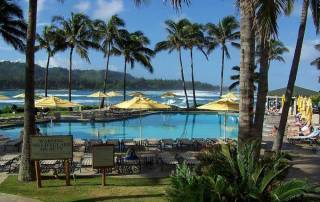 One of the nice features of our stay was Turtle Bay Resort snorkeling in the sheltered bay called Kuilima Cove. 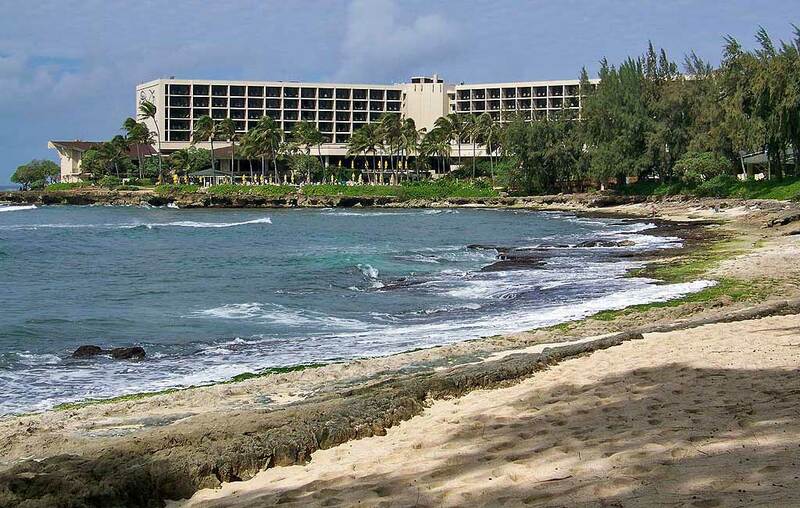 Kuilima Cove is nestled up against the east side of the resort. 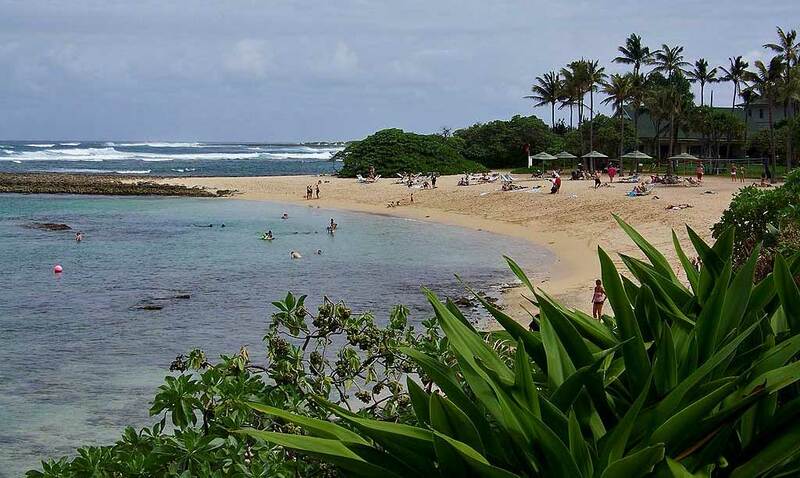 The cove provides a nice sandy beach for guests and a great spot to snorkel. I saw a variety of tropical fish including reef triggers (Huma huma nuku nuku apua’a), velvet tangs and saddle wrasses. 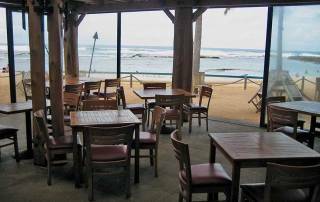 The strong wind and waves outside the cove stirred up the sand, so the water wasn’t very clear that day. 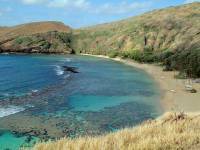 Kuilima Cove is a very safe spot for beginner snorkeling and it’s only a few feet from the hotel. 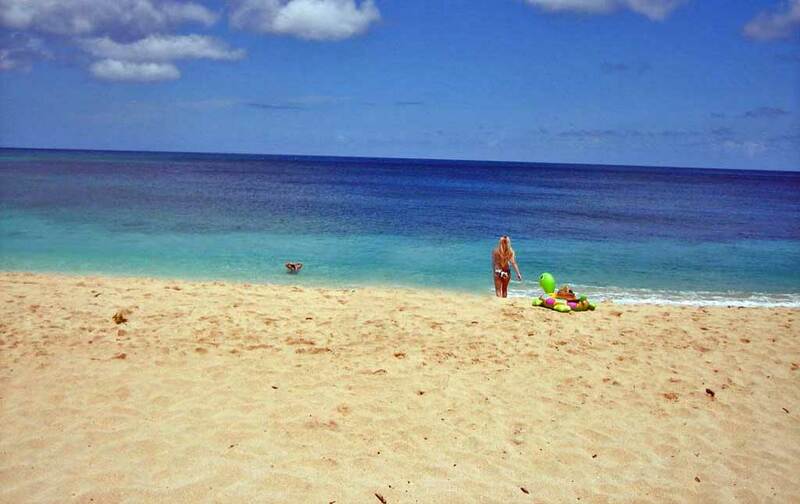 If you don’t have a mask and snorkel, rent one from the hotel. 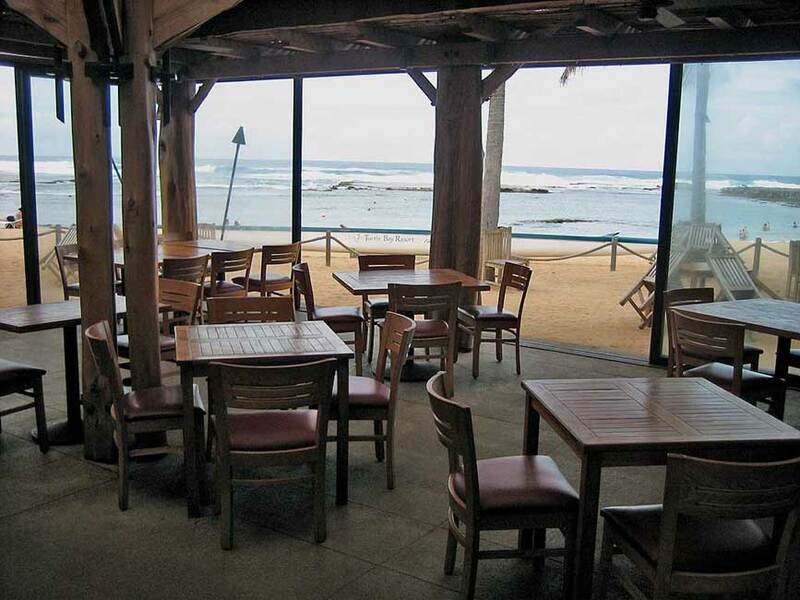 You can return to the cove in the evening for open air dining at the restaurant. We enjoyed Turtle Bay Resort dining at the Palm Terrace, which has views out over the pool and the ocean. 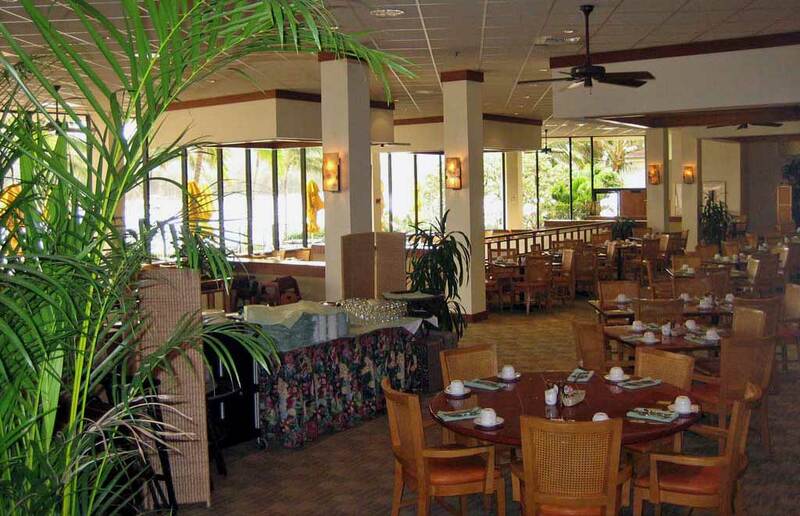 There’s a buffet every night. The first night, I had the Filet Mignon and Jumbo Prawns. I didn’t go with the waiter’s recommended Okinawan Sweet Potato Puree and I regretted it, but my wife bailed me out with some delicious samples of hers. For dessert, I let the waiter pick, because I obviously should have listened on the sweet potato recommendation. He recommended the Banana Cheese Cake Carmel Xango and, even though I’m not a banana fan, this was exquisite. 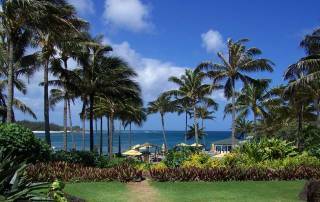 The Hawaiian music from a live band rounded out a fabulous resort dinning experience. 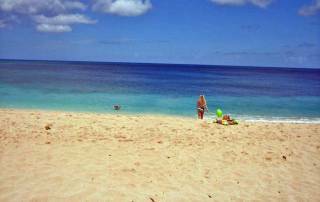 The next morning we took a short drive from the hotel to see Banzai Pipeline Surfing. 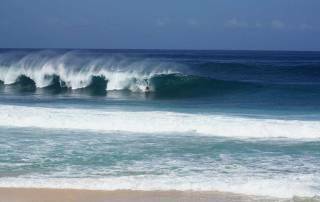 Banzai Pipelines is where the real surfers come to compete in the big waves of Hawaii. 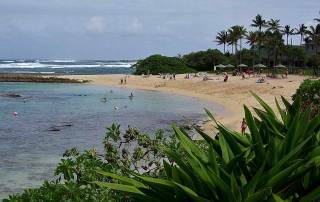 We had the opportunity to visit the Banzai Pipeline twice during our stay at Turtle Bay Resort. On the first day, it was windy. The red flags were staked out on the beach warning of unsafe conditions, but the ocean was full of surfers. There weren’t many spectators, but there were lots of high powered cameras taking photos. 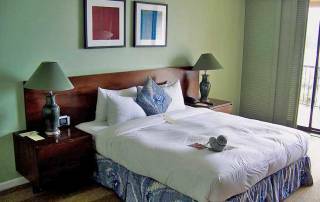 The second day was a marked contrast. 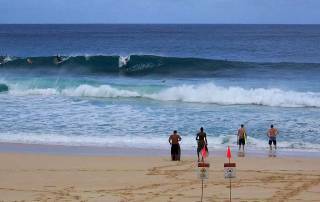 The 20 foot waves were high enough to start the HIC Pipeline Pro trials. Although the conditions were more dangerous the second day, the red flags were taken down. 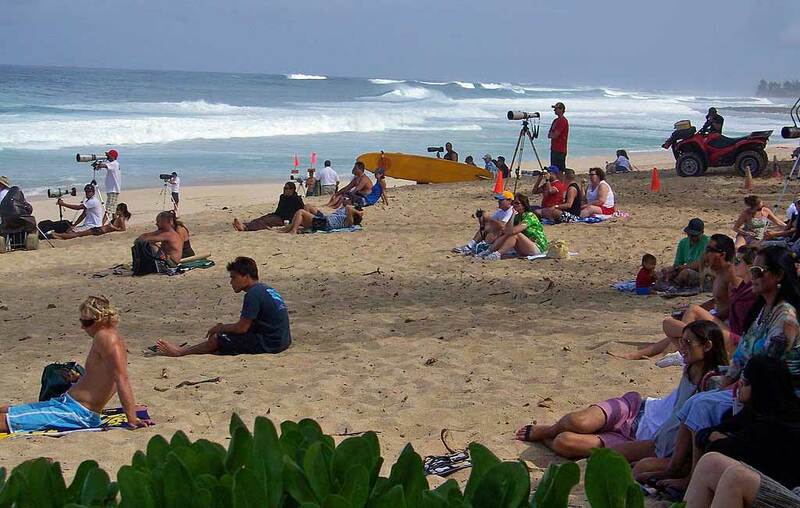 Most of the surfers were on the beach watching and waiting for their turn to compete. 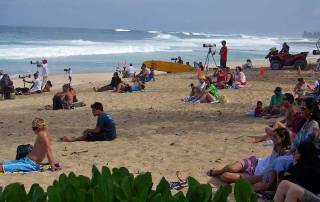 The spectators, surfers, photographers and TV reporters filled the beach. It was great fun to watch. 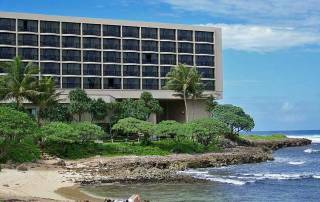 Turtle Bay Resort is more expensive than many options on the island of Oahu, but you get a tremendous vacation when you stay there. Well worth the investment.